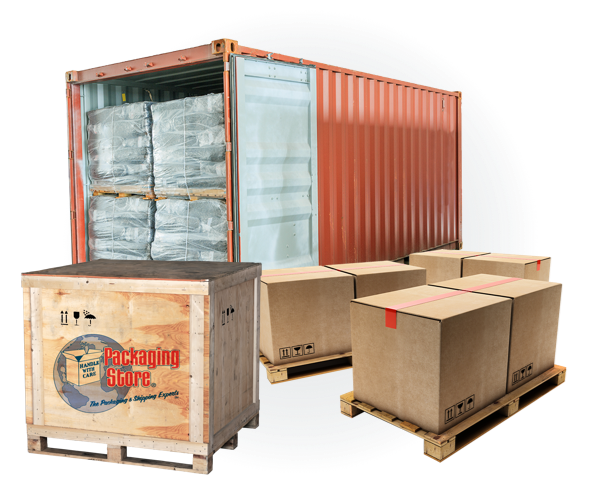 Let the experts at Go Packaging Store eliminate some of that stress by putting your mind at ease with affordable freight insurance. When you ship a package, crate, carton, box — or whatever — freight insurance from the Go Packaging Store allows you the added peace of mind knowing that your valuables are safe and secure — even if the unthinkable were to happen, and rest easy as your valuables are fully insured against damage and loss. If you're busy shipping important items anywhere, it's a sure bet there is added stress in the process. Let the experts at Go Packaging Store eliminate some of that stress by putting your mind at ease with affordable freight insurance. The Packaging Store professionals are well versed on the ins and outs of everything to do with shipping insurance so you don't have to be! If you wish to Insure Freight, our shipping professionals can assist you in determining a suitable value for the items you are shipping to assign an accurate freight insuranceamount as needed. We never up-sell your required insurance amount, but instead provide what you need should a mishap occur. This way you're covered without an unnecessary cost while making certain your valuables are secure and your move goes smoothly. If on the other hand you do have highly valuable, irreplaceable items, know that there is no limit to the amount of freight insurance we can provide you with. Just here to help in any and every way we can! Certain conditions apply, so be sure to consult the shipping and insurance experts at any of our over 350 nationwide Go Packaging Stores and affiliates. Don't find yourself stranded if an unforeseen event should cause harm to your precious cargo... get the right amount of freight insurance if needed and sleep easy! Whether you're shipping priceless art, family heirlooms, precious antiques, or important business equipment. Call on the folks who know shipping inside and out: Call the experts at the Go Packaging Store. We're here to help!